President John Dramani Mahama over the weekend paid glowing tribute amidst tears to his predecessor, the late President Professor John Evans Atta-Mills describing him as a man of faith who was "firm, humble and tolerant." He said the late President brought a new dimension to Ghana's politics, which was humility and peace, and that a tragedy has befallen the family of Professor Atta-Mills and the entire nation. President Mahama made the remarks when he visited the residence of the late president's elder sister's at Nkanfoa, a suburb of Cape Coast in the Central Region, to express his condolence to the family and mourn with them. President Mahama could not hold back his tears as he narrated how President Atta-Mills mentored him until his passing. He was accompanied by a large number of government officials and party functionaries, including the Chief of Staff, Mr Henry Marty Newman, Ms Hannah Tetteh, Minister of Trade and Industry, Mr Kwesi Ahwoi, Minister of Food and Agriculture, Members of the Council of State and Metropolitan, Municipal and District Chief Executives as well as Members of Parliament. A large crowd of mourners, including members of the various Asafo companies (warriors) from Cape Coast, clad in red and black, thronged the frontage of the house and along the streets, giving security personnel a hectic time controlling them, as they drummed and danced to Asafo songs with some wailing uncontrollably. Also present were the siblings of the late Prof Atta-Mills as well as family members from Ekumfi Otuam, Nanaben, Denkyira and Cape Coast. President Mahama solemnly recounted how the late Prof Atta-Mills entrusted a lot of responsibilities to his care, giving him a lot of space to operate and assuring him of his trust. 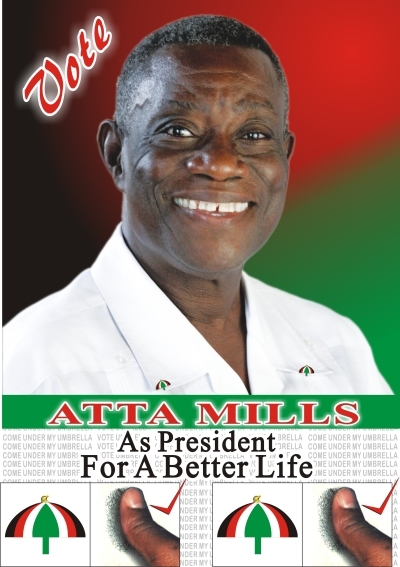 He said the faith of Professor Atta-Mills strengthened him and all those who worked with him, adding that, he had not only lost a father but a mentor. He asked the family to accept him as a son and offer him the support and prayers he needs and expressed gratitude to God for granting him the opportunity to serve under Professor Atta-Mills. Mr Newman said, he had known Professor Atta-Mills since 1966, describing him as a teacher, friend, mentor and a deep thinking scholar. A high powered National Patriotic Party, NPP, largest opposition party in ghana delegation led by former President Kufuor have called on President John Dramani Mahama at the Castle, Osu, to commiserate with him on the passing away of the late President Mills and to congratulate him on his assumption of office. The delegation included the former Vice-President, Alhaji Aliu Mahama, the NPP flag bearer, Nana Akufo Addo, the Chairman of the NPP, Mr Jake Obetsebi Lamptey, and a former Chief of Staff, Mr Kwadwo Mpiani. Former President Kufuor said the passing of former President Mills left him and other members of the NPP in such a shock that they were yet to recover from. He said the delegation was at the Castle first to congratulate President Mahama on his ascension to the high office of the Presidency and second to commiserate with him on the demise of the former President. He said NPP would be collaborating with the government to give the late President a befitting burial, saying that "that is how it should be". The former President said death was so mysterious that it even brought adversaries together, and stressed that the NDC and NPP were not adversaries but rather opponents. Former President Kufuor said the late President had "played his part to the hills", and died with honours as a serving President. He said, President Mahama had served as a Vice-President before assuming the position of the President and therefore expressed the hope that President Mahama "will not forget the demands of the high office of the President to the people of Ghana." The former President advised President Mahama to manage the affairs of the country in a non-partisan way to erase the negative aspects of politics and expose the positive side to enable the country to come out of the election with flying colours and continue to be the beacon of democracy in Africa. In response, Ghana's new President John Dramani Mahama has promised to continue to pursue the peaceful legacy of the late President John Evans Atta Mills to create a more united and stable country. He also called for the collaboration of all political leaders, especially former Presidents Jerry John Rawlings and John Agyekum Kufuor as well as the flag bearer of the New Patriotic Party (NPP), Nana Akufo Addo, in pursuing the course of peace and stability. He also thanked Nana Addo for suspending his campaign to mourn with the government and also going to see the former First Lady. President Mahama said the gesture should be the first step towards getting the country "to stand together for Ghana to continue to be the beacon of hope in Africa." The President described the death of the late President as "a great loss and totally unacceptable" and that he and government officials were in a shock. 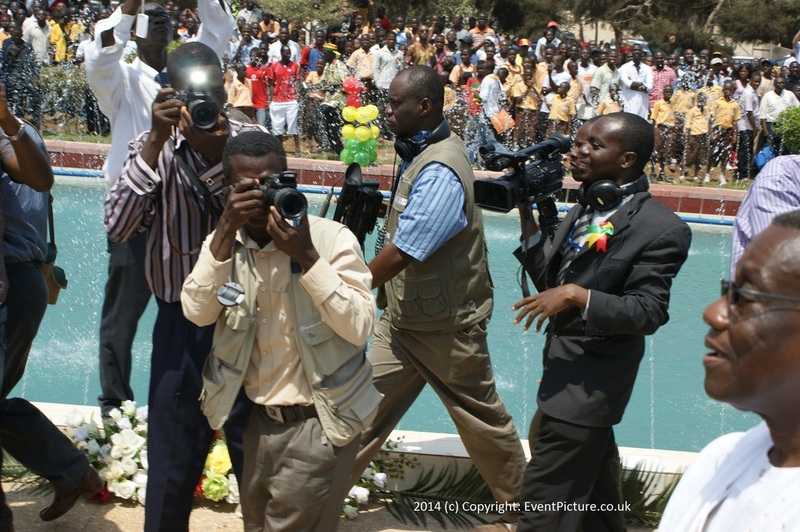 President John Evan Atta Mills, shooting star at Dr Kwame Nkrumah centenary celebrations at Kwame Nkrumah Memorial Park, Accra, September 2009 (c) EventPicture.co.uk 2009 - 2015, President Mills died August 2012.